Aliens and Strangers Music is a different kind of music store. In a world of mass-produced and bulk-shipped mega stores and websites, we are focused completely on your satisfaction. Although we sell instruments in all price ranges, we specialize in mid-grade instruments from manufacturers like ESP and Schecter – companies renowned for quality-built guitars and basses. 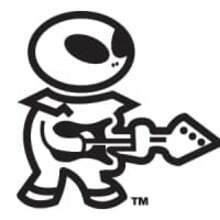 But at Aliens and Strangers Music we take customer service to an all-new level with our exclusive Shred Ready™ service. What is Shred Ready™? Pick up a guitar in any music store or order one from a giant online retailer and you might be ready to shred, but your guitar won’t be. At Aliens And Strangers Music we believe a new instrument should inspire you; not hinder you. That’s why every guitar or bass we sell arrives at your door setup and ready for the stage or just the woodshed. FREE SHIPPING (to the continental USA)! Orders will ship from our store in 24 hours on business days. Tracking numbers will be posted when shipped. Any returns must be made within 14 days of purchase. Contact must be made with Aliens And Strangers Music prior to returning any items. All returned items will be charged a 15% restocking fee. All returned items must be in the original packaging complete with all components including the warranty card, owner’s manual, etc., in new condition, with no signs of damage or wear, otherwise items will be refused and considered unfit for return. Return shipping must be paid by returner. You are responsible for return shipping costs to you on items that do not meet our return guidelines. Qualified returns will be issued a refund for the purchase price minus the 15% restocking fee and the actual cost of shipping the item to you. If you are exchanging for another in-stock item the 15% restocking fee will be waived.